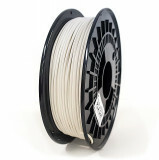 One spool with plastic filament out of Premium-PLA 90 in natural. There is practically no shrinkage (very low warp effect). The softening temperature is a little bit higher than 90 °C. Premium PLA 90 is a hard material that is bendable like ABS. 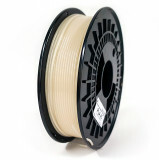 This Poly Lactic Acid is less brittle or fragile than the standard pla and convinces by its high hardiness and stiffness. 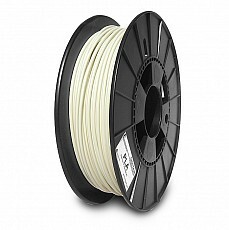 750 g natural HiPS filament on spool. Suitable as solvable support material.